Ok – so no recipe today but I just wanted to share something that I found! Walking through Bluewater shopping centre, we stopped at Krispie Kreme Donuts. Its so cool as you can see all the donuts being made and decorated through the glass down the side! I got really excited several months ago about their halloween themed donuts – but this time we were in time to see their Valentines Day special! It’s called the Love Bug, it is filled with sweet strawberry jam and decorated with strawberry icing – and it’s cute face of course! 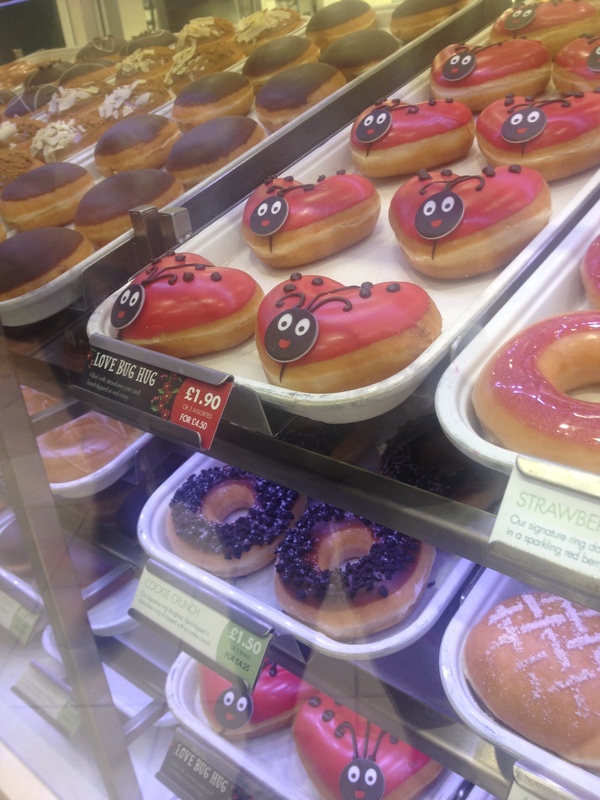 I know they are quite expensive but I love Krispy Kreme donuts! What’s your favorite kind of donut and why? ← Make your own Ranch Dip Powder!